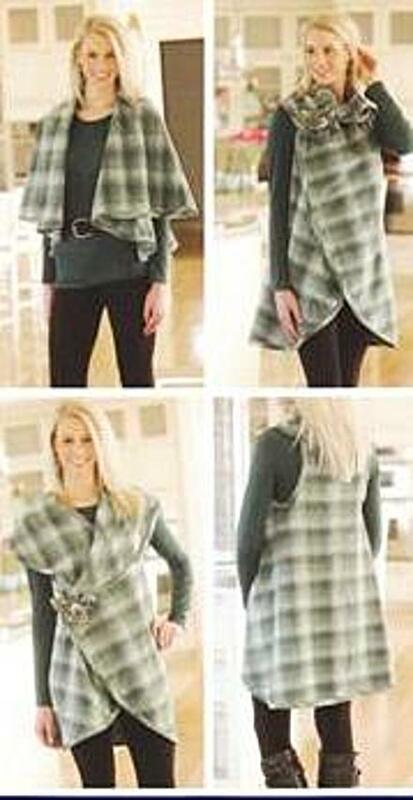 The 5-way wrap provides five fashionable looks in one quick & easy design. Make from two-sided fabric such as denim, fleece, flannel, batiks, wool or linen. Finish edges with serger or bias binding. Sizes S/M or L/XL. Flower pin instructions included.